In some older versions of Windows 10 there's a "System and Compressed Memory" process indicating that compressed pages are counted there, after many people complained that their System process consumes too much RAM and/or CPU. However recently after an update I realized that the System process' name has been revert back, and also "consumes" much less RAM than before. Why is that? Not the answer you're looking for? Browse other questions tagged windows-10 memory compression memory-management or ask your own question. What happened to the “System and Compressed Memory” **PROCESS** in Windows 10? What is the cause of a high CPU usage of 'system and compressed memory' in Windows 10? Reducing Windows 10 x64 memory footprint – can I tune the system's automatic memory compression? How to solve “system and compressed memory” taking 50% of the CPU? 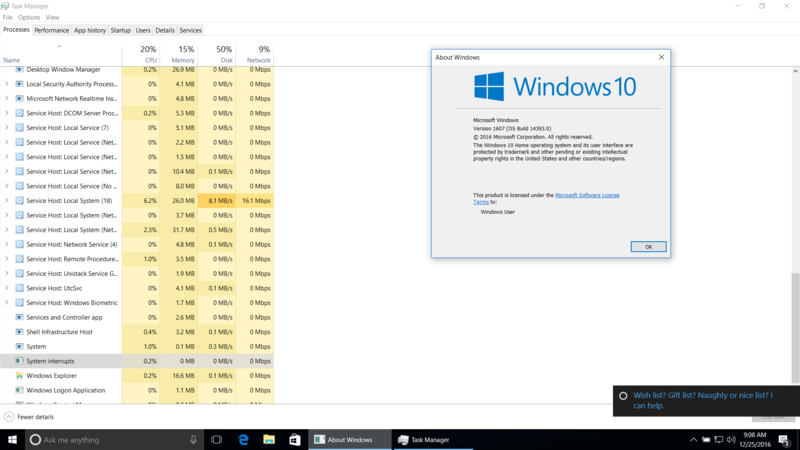 Why is windows 10 compressing memory when I have plenty available?